Becky Shaw and Nanette Horton presented at our September 2016 meeting. 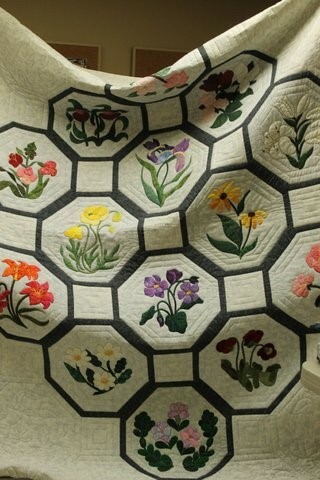 They shared quilts created by 4 generations. Also included in the show was Becky's "Going Wild in Canada" Quilt which was part of the Canadian Quilter's Association 2011 National Juried Show. 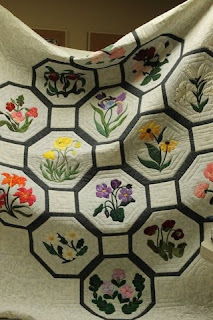 It is a beautiful 99"x99" hand appliqued, hand quilted, hand embroidered work. Our group photographer Anne Balanyk provided the following collage of photographs from their presentation.